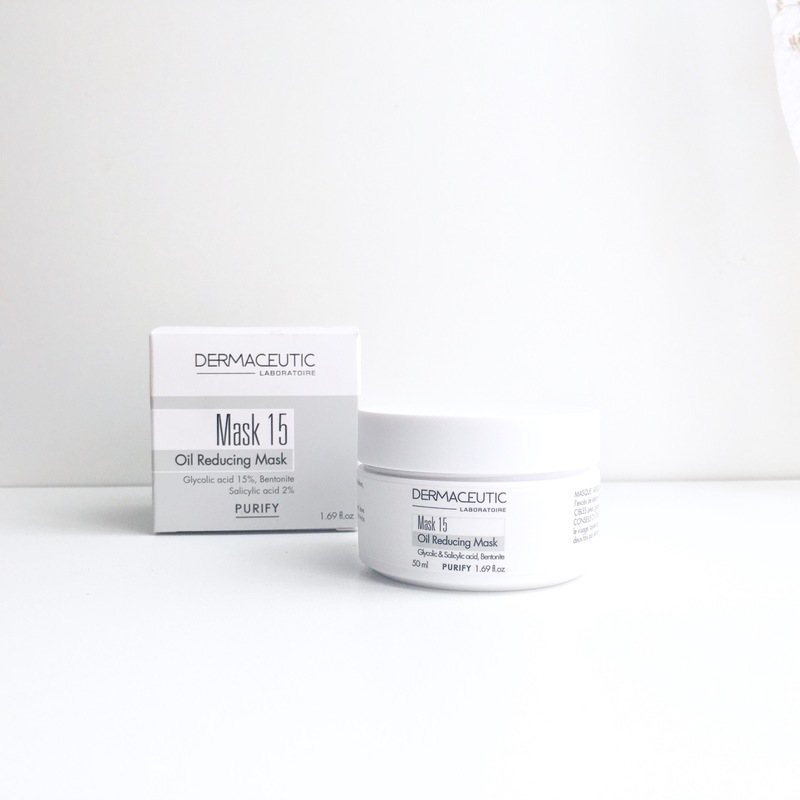 The Mask 15 is an astringent clay mask that has been designed to remove dead skincells and excess sebum and to purify combination and oily skin. The combination of skeptic clay and glycol and salicylic acid aids in purifying and removing imperfections, tightening pores and reducing excess sebum. I’ve been using it for the past couple of weeks, as a spot treatment on my breakouts and on my nose for blackhead removal and not as a mask, therefore I can’t really tell you much about the overall effect on my entire face. But what I can tell you, is that using it as a spot treatment has yielded some truly phenomenal results. Let’s start off with the blackheads. Even though they aren’t thaaaat noticeable from a distance, I can still see them when I look in the mirror, so obvi it’s a problem. I simply just apply a thin layer of the Mask 15 on my nose for about 1-2 minutes (depending on how long it takes for the tingling to start) and then simply rinse off. And voilà! The blackheads have magically disappeared! But, with the whiteheads it does take a little longer to see results. For whiteheads and those pesky nodular pimples (those bumps under your skin that you can feel oh-so-painfully but can’t see), I apply it in the same way as I do for the blackheads but what I do after I rinse it off, is where the difference comes in. For whiteheads, usually after I rinse the Mask 15 off, it forces all of the ewwness that is contained within out and basically deflates/pops the whiteheads. However, to prevent any scarring or contamination from the popped whitehead to the rest of my face, I cover the area with a paste of turmeric+lavender and myrrh facial healing oil, for about 15 minutes, which aids in the prevention of the above. For the next 2 days, I follow up with the paste for 15minutes and on day 3 all evidence of the whiteheads existence has been removed. Yaaaay! For the nasty nodulars, I usually apply the Mask 15 on Day 1, Day 4 and Day 8 and 60% of the time, the nodule doesn’t transform into a visible pimple. For the other 40% of the time, I follow the steps for the whitehead (if that’s what it is now) or just wait for it to go away. Basically, the Mask 15 is a really, really, really effective way to banish blackheads, whiteheads and nodular pimples in no-time! And even though it may be priced between R500-R650, the tub is going to last you aaaaaaages whether you’re using it as a mask or spot treating – so it really is worth it! Also, if you’re in Durban, you can get yours from Dr Ridhwana Vawda in Crescent Towers in Overport! I’ve tried many, many, MANY other products that promise the same results but never ever deliver, so I’m really glad that the Mask 15 found its way to me! P.S Don’t forget to enter the TRESemme giveaway here!